AMMAN - The Embassy of the People's Republic of China in Jordan, in collaboration with the Chinese Ministry of Culture and Tourism and the Ministry of Culture in Jordan, has organized a ceremony to celebrate the Chinese New Year and Spring Festival in the presence of HE Dr. Talal Abu-Ghazaleh and the Jordanian Ministry of Culture Assistant Secretary General Dr. Ahmad Rashed. The ceremony which was held at the Royal Cultural Center in Amman commenced with the national anthems of the People's Republic of China and the Hashemite Kingdom of Jordan, followed by a speech delivered by HE the Chinese Ambassador Mr. Pan Weifang, in which he underlined the depth of the Chinese-Jordanian relations particularly shedding light on the signed agreement between the Chinese government represented by Hanban and Talal Abu-Ghazaleh Organization. The Ambassador pointed out that culture is one of the most important factors that defines heritage and constitutes an essential element that brings people closer. He highlighted the significant role played by Talal Abu-Ghazaleh Confucius Institute in this regard. 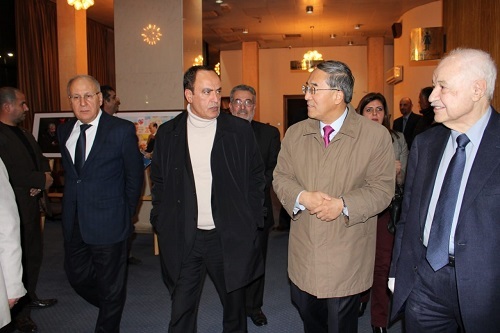 Furthermore, Ambassador Pan Weifang reiterated the depth of relations between the two countries, affirming China’s keenness to present the Chinese folk art to the Jordanian people. 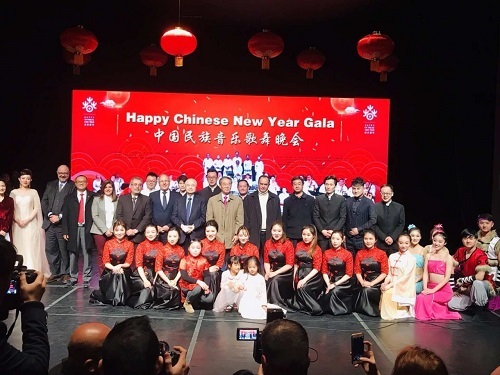 During the celebration, the Chinese “Nanjing” Traditional Orchestra which visited the Kingdom specially to celebrate the Chinese New Year, presented groundbreaking cultural performance that included songs and Chinese music using traditional musical instruments. As part of the celebration that Dr. Abu-Ghazaleh accompanied by the Chinese Ambassador visited the Photography Exhibit that displayed areas from different regions in China, while many other photos embodied various forms of the daily life in the country and its most prominent sites. Talal Abu-Ghazaleh Confucius Institute TAG-Confucius was established in September 2008 to promote the Chinese language and culture, in order to reach a better mutual understanding between the Arab and Chinese cultures.